Executive Director – Bombay Chamber of Commerce and Industry, Mumbai. Mr. Sethi is the Vice President and Chief Information Officer at Hero MotoCorp Ltd. – World’s largest two wheeler manufacturing company. He is also part of the leadership team of the organization. Vikas is a Chemical Engineer from Indian Institute of technology Mumbai, posterisation in business management from Indian Institute of Management Bangalore and a Company Secretary. Vikas has over 36 years of work experience in leading organisations in India in finance, procurement, information technology and new business developments. His last assignment was with Tata chemicals, heading new business initiatives. He was heading projects in India, South Africa, Mozambique and new business initiatives in Southeast Asia, Brazil and Scandinavia. 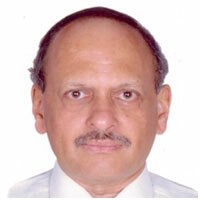 Expected role: Vikas, is expected to bring his industrial experience in the advisory capacity. He is expected to contribute by relationship building, business development and interaction with regulatory authorities.